Its magnificent landscapes, exotic wildlife, and diverse underwater world make Komodo one of the best places in Indonesia to explore and dive. 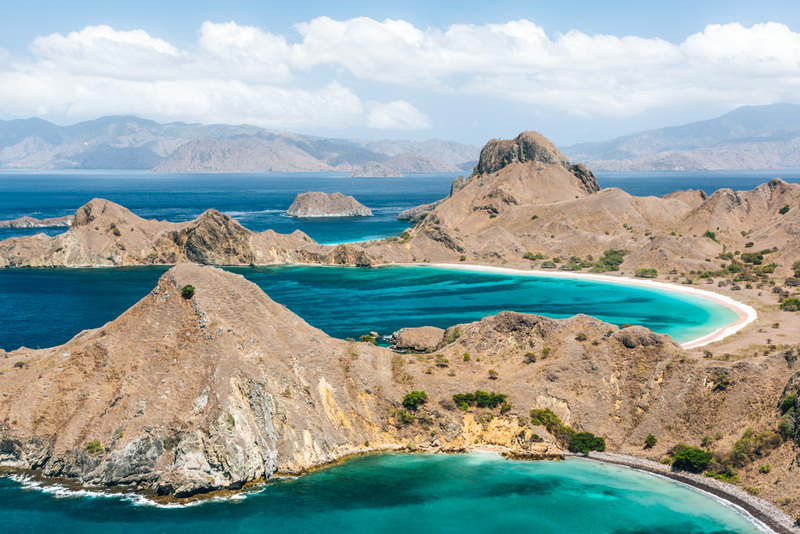 And it’s so easy to do so: all it takes is a quick flight to Labuan Bajo, where you can book onto a Komodo day trip or liveaboard and cruise around this UNESCO World Heritage Site by boat. 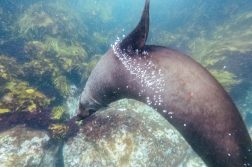 Fellow scuba divers, beach bums, and sun worshippers, this is definitely one for your bucket list! 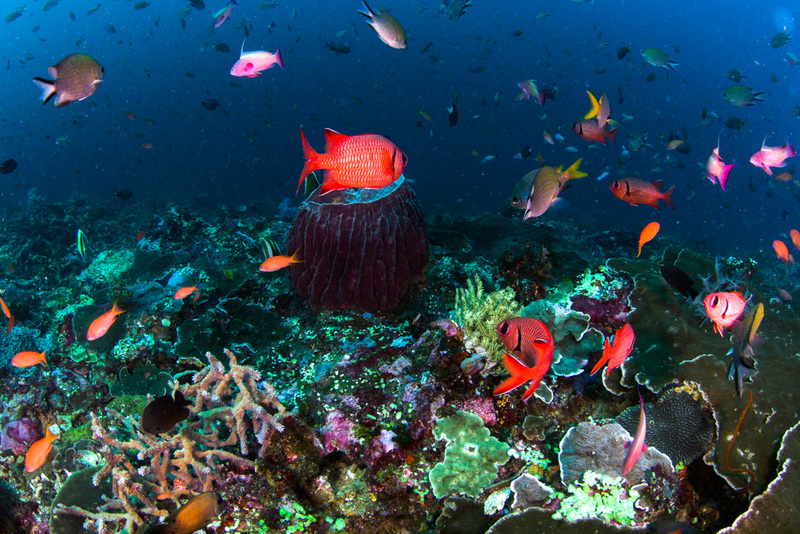 The incredible marine life is what draws most travelers to Komodo National Park. Simply put, you gotta get underwater while you’re here! Komodo is considered one of the best scuba diving locations in the world, and a major reason why is because of its pristine reef. 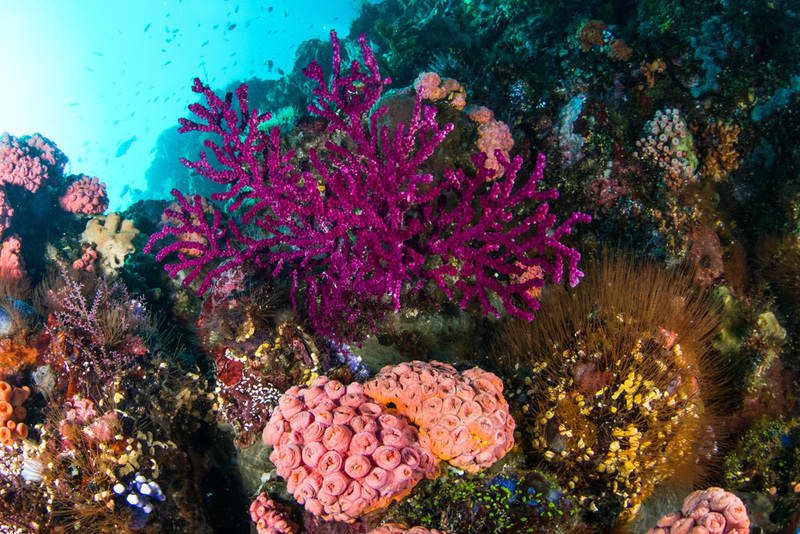 If you get lucky with light and visibility, you’ll see some of the most colorful coral imaginable. Photo by Simon Mallender of Diveplanit. Even if you aren’t scuba certified, it’s still a great spot for snorkelling because there’s lots to see in shallow waters. On our Komodo liveaboard, the non-divers usually had the option of going for a snorkel session nearby while the dives were happening. Manta rays, sharks, nudibranchs, turtles, and countless fish are all commonly sighted on dives here. 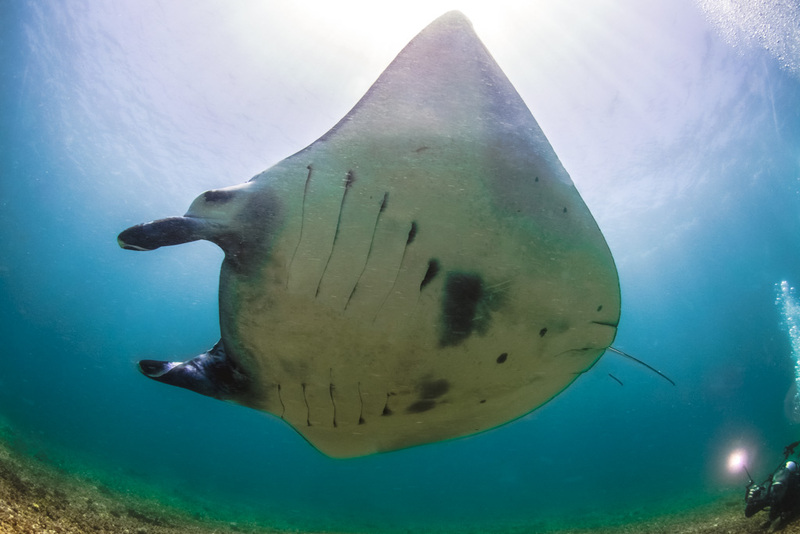 The mantas tend to hang around during rainy season (Dec-Mar) and in strong currents. In fact, many of the dive sites in Komodo are plagued by currents – something to keep in mind if you’re an inexperienced diver like me. While I do think there’s something for every level of diver here, in retrospect I wish I’d had more than 18 dives under my belt and felt more comfortable diving before tackling the current-ridden dive sites at Komodo. 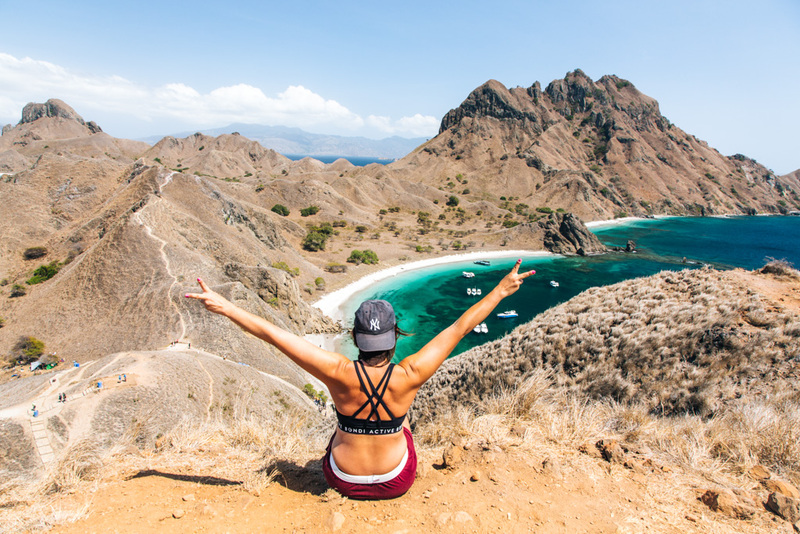 Most Komodo liveaboards and day trips will plan for a stop at Padar Island with enough time to complete the hike to the top of the hill and back. Usually it’s done around sunrise or sunset for obvious reasons, but also because it’s just too stinkin’ hot during the day to hike it comfortably. If you don’t fare well in the heat, definitely aim to hike Padar first thing in the morning. That said, I hiked up around 11am and LOVED it because I got to see the water at its bluest from the midday sun. By contrast, if you do it around sunrise or sunset, the water will look a bit dull. This is definitely one of those hikes where the views are incredible literally all.the.way.up. The higher you get, the more of the surrounding bays you’ll be able to glimpse; BUT, on the other hand, you can enjoy a closer view of two of ‘em from lower on the trail. 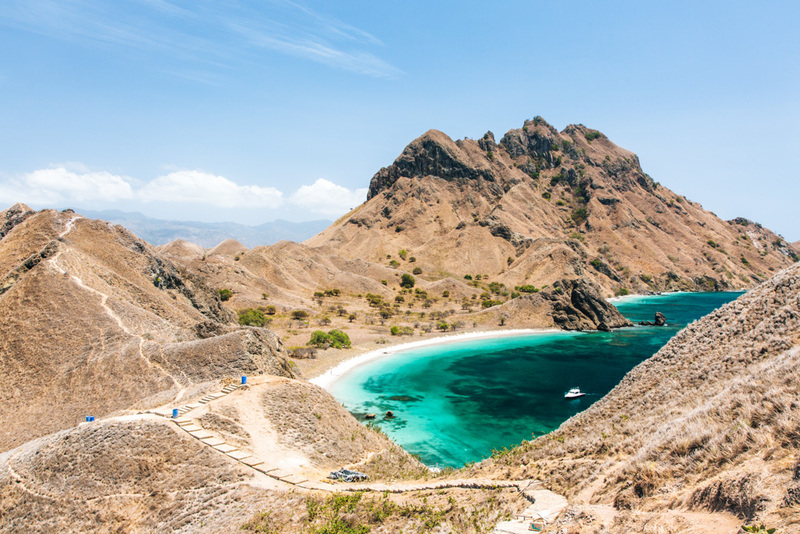 CLICK TO READ THIS BLOG POST ON PADAR ISLAND. You guys. 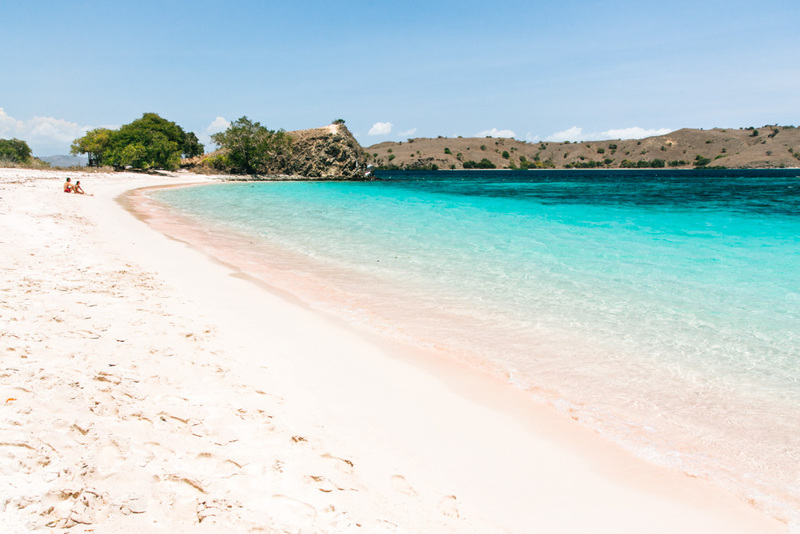 There’s a PINK BEACH in Indonesia! Wellllllllll, it’s sort of pink. And only in certain light, and at certain angles. When we approached Pink Beach by boat, I thought we’d been duped because it looked like any ol’ beach around – y’know, white-ish sand and bright blue water… yaaaaawn (just kidding, I will never get tired of white sand beaches!). But once I stepped onto the beach and started frolicking down it, I noticed a pink tint to the sand when I looked out toward the water. 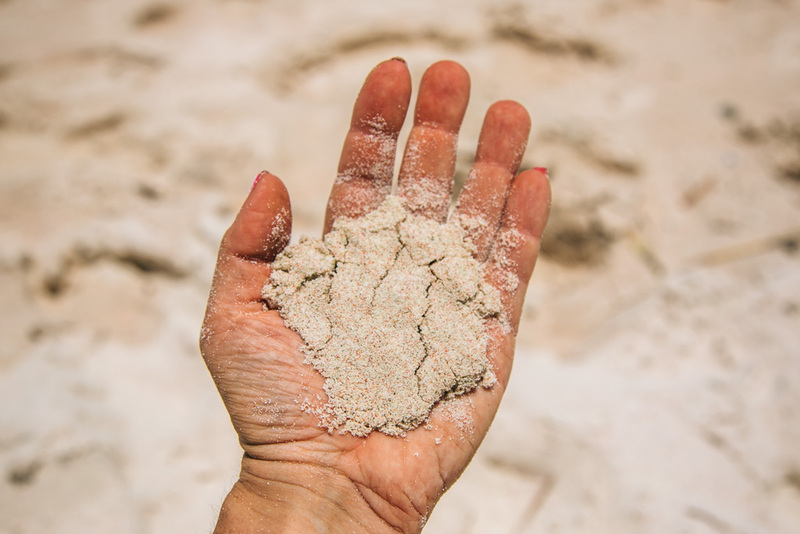 The pink color actually comes from a mix of white sand with red coral particles. 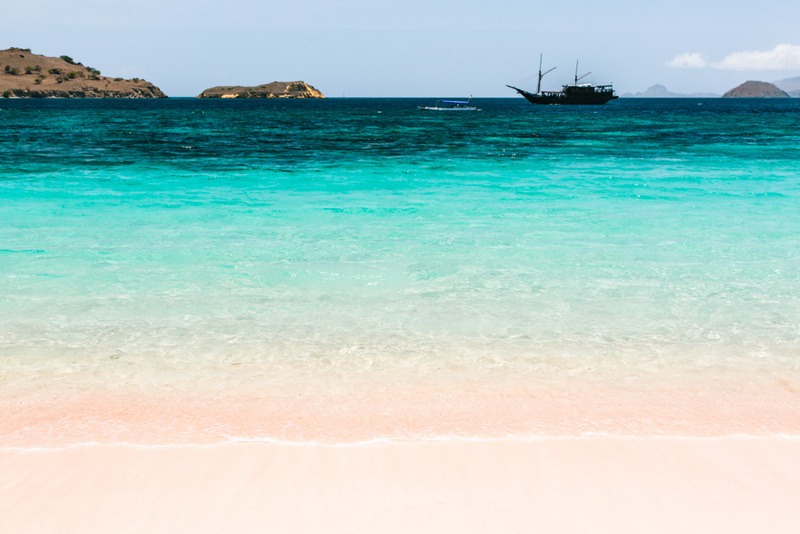 To be honest, pink or not, Pink Beach is an absolute stunner. 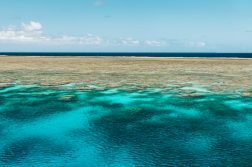 Surrounded by hills and looking out toward neighboring islands and a sea of at least 10 different shades of blue, it’s the kind of spot you’re not in any hurry to leave. 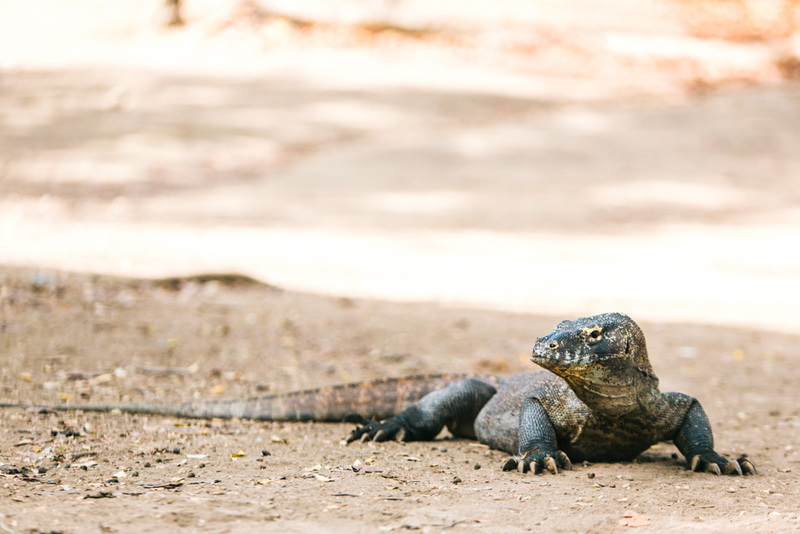 It would be a sin to visit Komodo National Park and not make a point to see its namesake dragons. 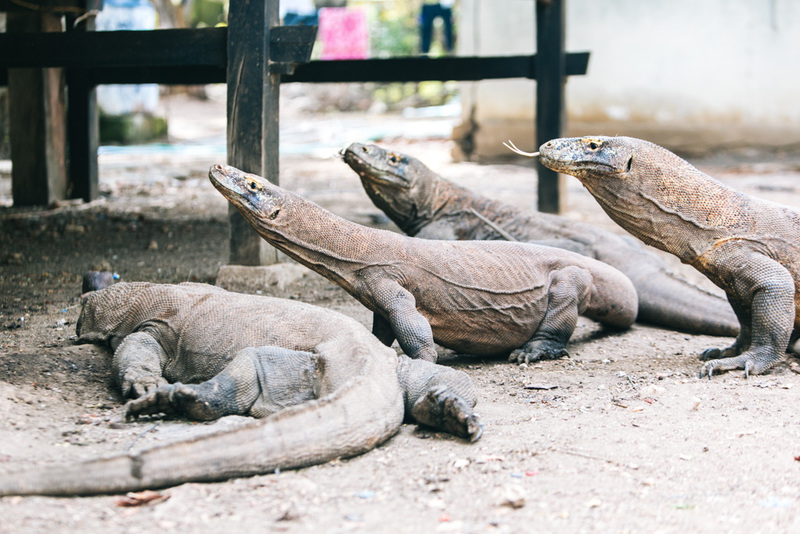 Fear not: most if not all Komodo day trips and liveaboards will stop on Rinca Island so that you can take a tour of the island and safely spot Komodo dragons under supervision of the park staff. They tend to be more active in the morning, so aim to visit early if possible. There are several different walking trails to explore in the park. We chose the shortest one because it was hot AF and we just didn’t feel the need to overextend ourselves. We were lucky to see a bunch of Komodo dragons congregating by one of the park buildings, and then a few others scattered along our walking path. I was highly amused by the way they walk: they swing their back half back-and-forth as they walk, as if exaggerating a hip shake in slow motion. 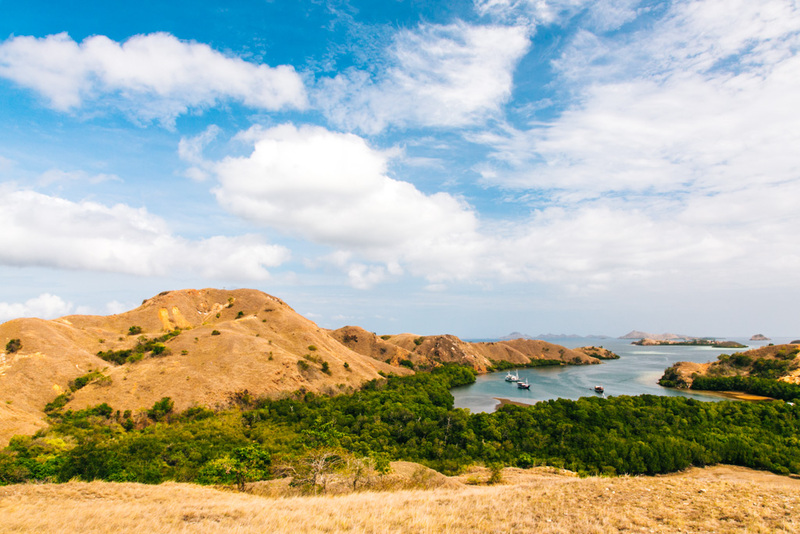 The view from the hill over Loh Buaya Bay is definitely worth the short hike up – it’s no Padar, but still quite pretty. Some of the walking trails pass by this lookout, or you could easily walk up quickly from the visitor’s center. 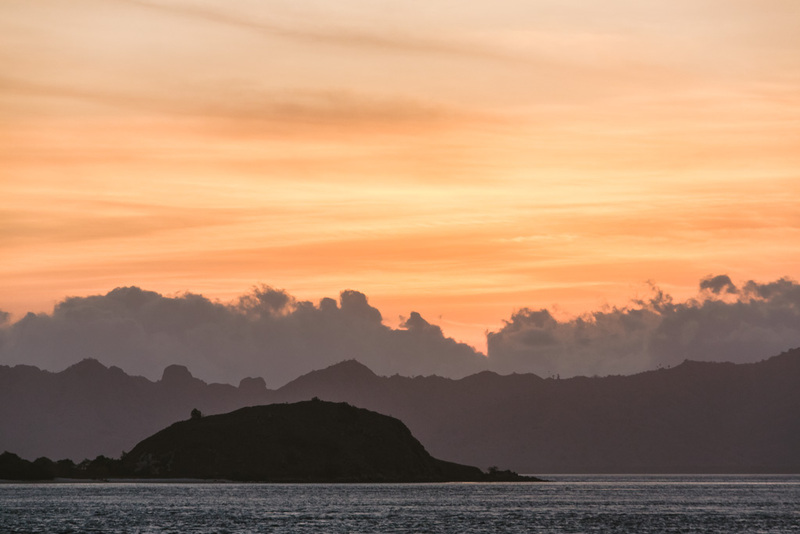 If you’re lucky, your Komodo day trip will conclude with sunset over Bat Island (aka Kolong Island). 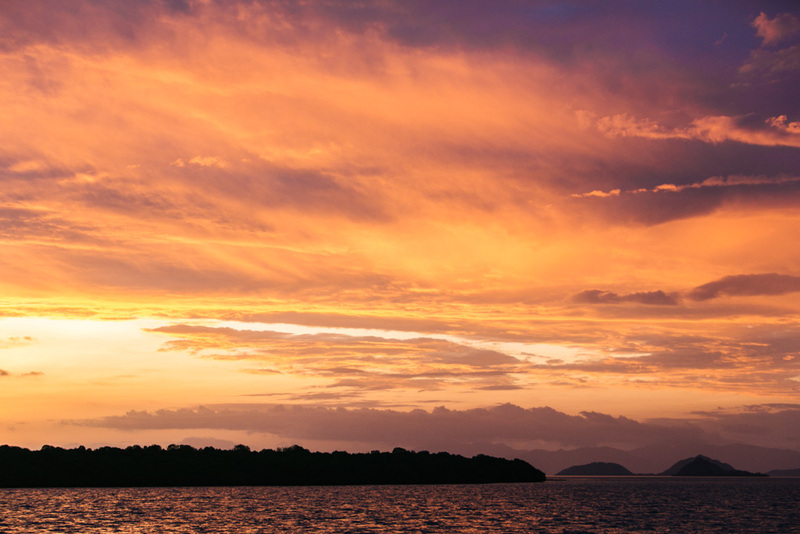 True, sunset from anywhere in Komodo National Park will look much the same, but if your boat is parked by Kalong, afterwards you’ll also be able to witness thousands of bats fly out from the mangroves here and over to the islands of Rinca and Flores to feed at dusk. 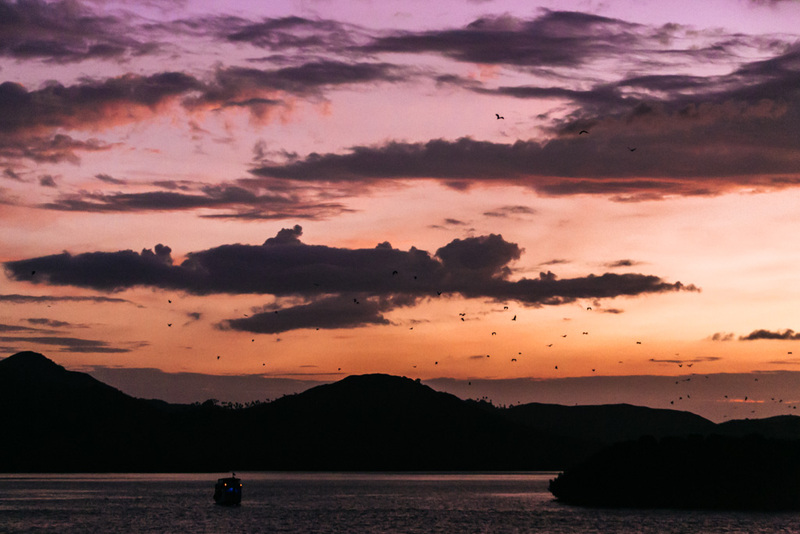 I admit, this bullet point on our Komodo itinerary underwhelmed me when I first glimpsed it; but watching all these bats flood the dusky sky was such a cool sight, and definitely more of an offbeat thing to do in Komodo. Our Komodo liveaboard was anchored here one night so that we could leisurely watch the nightly bat show until the sky got too dark for our eyes to watch any more. Most of the other boats around us left after just 5-10 minutes of bat action, which meant we had it mostly to ourselves. 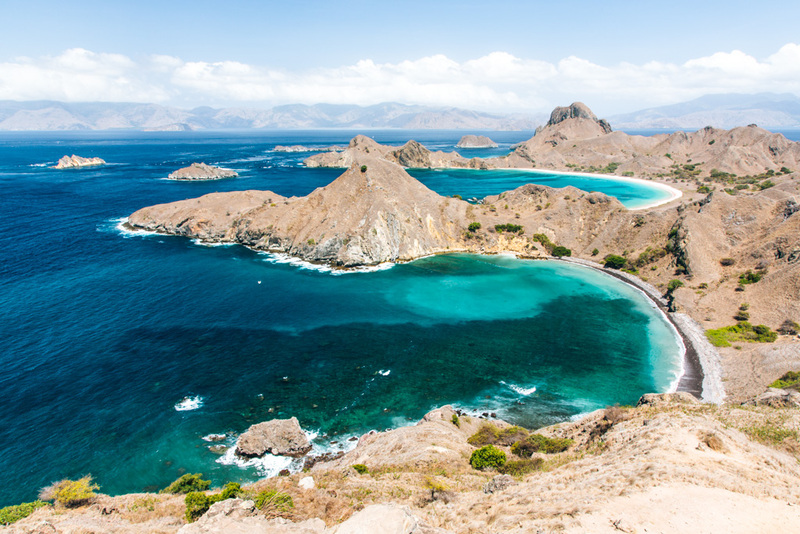 The easiest way to reach Komodo is by flying to Labuan Bajo, which is the tourist hub on Flores. 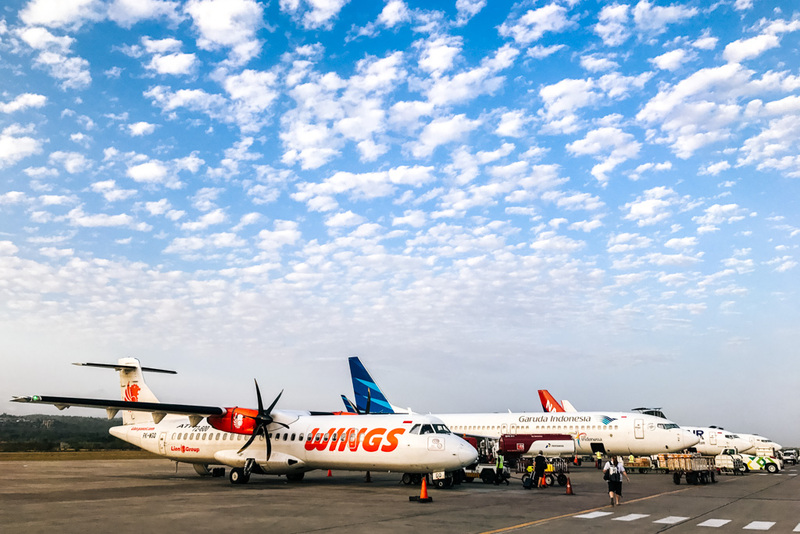 You should be able to book cheap flights with the local carriers that fly direct from Denpasar or Jakarta. Garuda Indonesia is by far the best and the most reputable of the lot, but they won’t be the cheapest as they’re a full-service airline. From Labuan Bajo, you can book a boat trip that will take you around the islands of Komodo National Park. 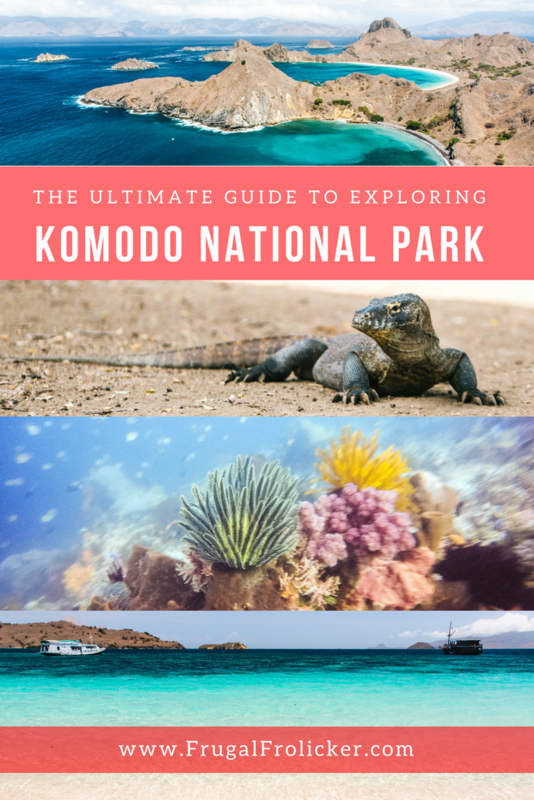 Right, so you’re probably wondering: how do you actually get out and explore Komodo National Park? By boat, of course! Many different Komodo boat trips leave out of Labuan Bajo. If you’ve got plenty of time, you might as well show up without a plan and try to hunt down a good bargain on an upcoming trip. Note that I did not do this myself, so I can’t tell you what price you can expect to pay or how long you should expect to wait to get onto a boat trip. I do know, though, that many of the operators don’t have websites where you can book their tours in advance, so you’ll have more options at your disposal upon arrival vs. online. While you can book a day trip to Komodo, I strongly recommend booking an overnight trip instead. This place is just too amazing to rush through and I promise that you’ll want as much time to explore it as possible. I think a 3 day trip around Komodo is ideal; go for longer if you’re planning on doing lots of diving. 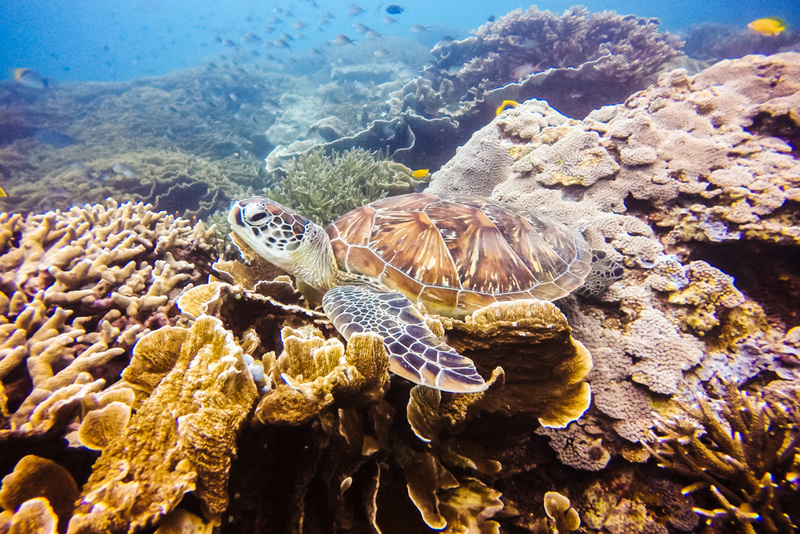 Usually Komodo tours will offer both a diver price and a (cheaper) non-diver price and will cover most if not all of the activities and stops mentioned above. Be sure to ask before booking if you have your heart set on making certain stops during the trip! 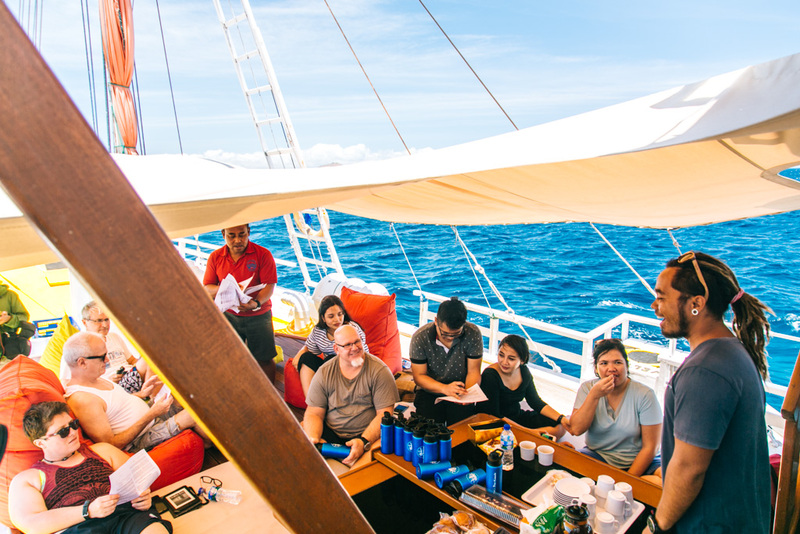 It’s a good idea to pre-book your Komodo liveaboard if diving is top priority. Check out this list of operators on TripAdvisor to get an idea of what’s out there. FIND & BOOK YOUR KOMODO LIVEABOARD TRIP HERE. As somewhat of an authority on travel, I’m probably supposed to urge you to purchase travel insurance before every trip you take. 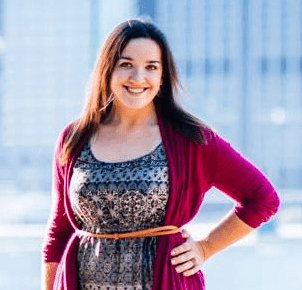 Personally, I don’t always do this myself – however, I made a point to do so before my trip to Komodo, and I highly encourage you to do the same. Why? Well, if you’re diving in Komodo it’s a no-brainer. 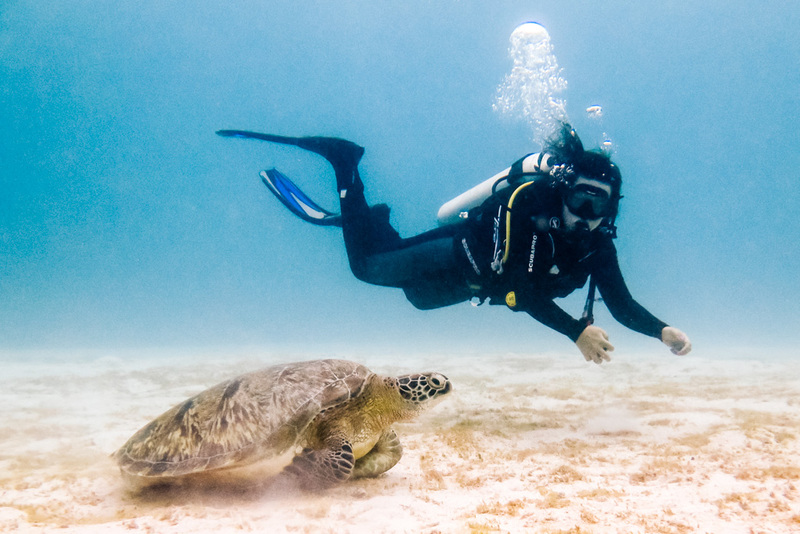 Lots can go wrong on a dive, and there’s a decent chance that your medical insurance back home won’t fully cover diving accidents or injuries. Buy travel insurance and you’re covered for any emergency medical expenses that result from diving or over a hundred other adventure activities during your overseas trip. Travel insurance also covers all sorts of travel nuisances like lost or delayed baggage, trip interruptions, and cancellations. 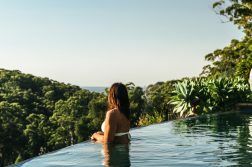 Some of this may be covered by your credit card if you used it to pay for your trip expenses (for example, my Chase Sapphire Reserve – which is why I sometimes don’t buy travel insurance). But if it’s not, then travel insurance is a really good idea. CLICK TO PURCHASE TRAVEL INSURANCE FOR YOUR TRIP TO KOMODO FROM WORLD NOMADS. While it’s always important to be eco-conscious, I feel it’s even more crucial in Komodo National Park because of its unique underwater ecosystem. Sadly there’s a ton of rubbish left in the sand on Pink Beach and on the Padar hiking trail which can so easily make its way into the sea and permanently damage the incredible marine life here. PLEASE carry out any trash that you carry in, and even better: bring an extra bag with you so that you can carry out extra rubbish that you find along the way. Thank you to the Indonesian Ministry of Tourism for hosting me during my trip to Komodo. 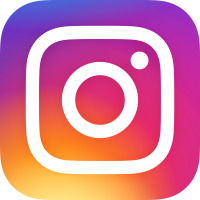 Note that all opinions expressed here and elsewhere on this blog are my unbiased own, and are uninfluenced by any gifts or incentives I may receive.